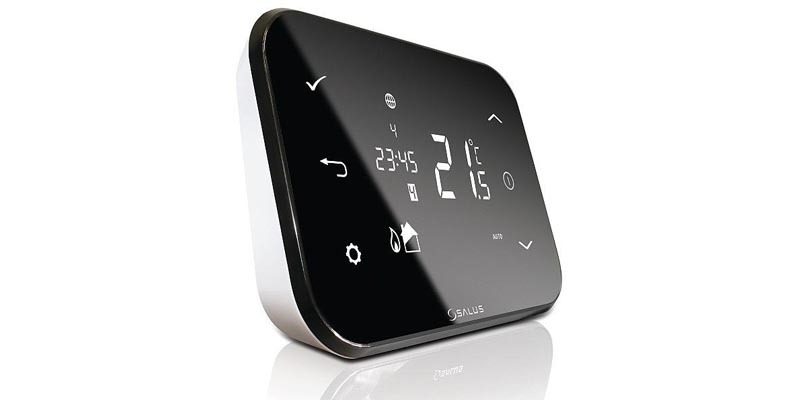 SALUS IT500 Internet Controlled Thermostat – costing from £115, this wireless thermostat system is easy to install and set up. controlling your heating and hot water remotely via your smartphone using your existing broadband connection. This Internet enabled thermostat is fully compatible with your smartphone and the thermostat has an intuitive touch screen display which can be wall or surface mounted. Netatmo Thermostat for Smartphone – from £148, this remote control thermostat can change your home’s temperature and save up to 37% of your energy bills. The thermostat is available in five interchangeable colours and has an elegant yet minimalist design. With your heating connected to the Internet, the thermostat can now schedule your heating to suit your lifestyle using software that takes into consideration your home’s specific usage and the outside temperature, ensuring you always have the ideal room temperature. The Netatmo app is available for iPhone, Android and Windows Phone operating systems. According to the Energy Saving Trust in the UK, a family with an oil heating system could save up to £300 per year using a wirless smart thermostat such as the the Netatmo. Tado Smart Thermostat with Smartphone Control – costing £189 this smart thermostat displays the current temperature and has controls to set or alter the set point temperature. This display and control is also available via your smartphone thanks to a nifty mobile app which lets you change any settings from wherever you may be. It matters not which type of heating system you have or from which manufacturer, the Tado Smart Thermostat works with virtually all central heating systems including electric underfloor systems and heat pumps. Timeguard 7 Day Wireless Programmable Room Thermostat – this thermostat system is ideal for installations where it is impractical to run wires from the room thermostat to the central heating controls. The Timeguard Wireless Programmable Thermostat transmits data to the receiver box up to 60 metres away and everything is displayed on a blue luminescent screen with simple push button adjustment. Comes complete with surface mount receiver box and offers 7 Day programming with frost protection setting.